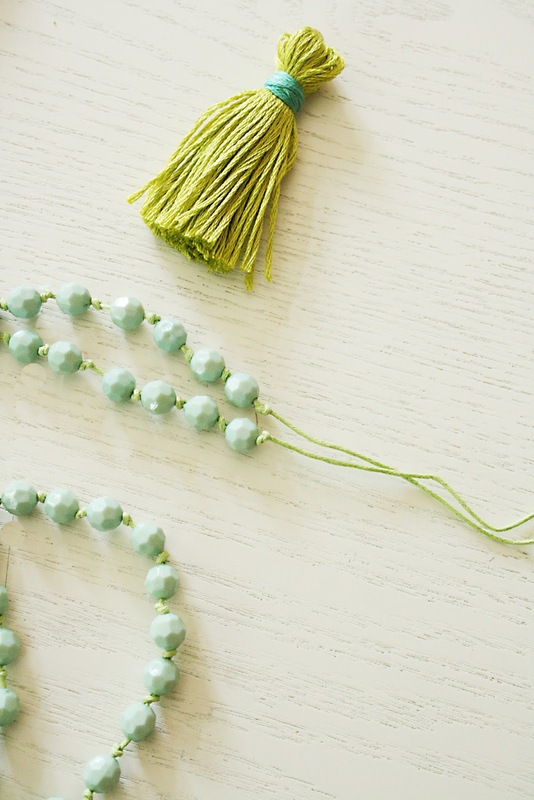 DIY Tassel Necklaces: We said goodbye to summer last week and are now back at school…still in our summer haze though. With school comes back-to-school shopping, and my girls love all the new clothes, shoes and accessories they want to buy. As a kid, one of my favorite things I enjoyed about going back to school was wearing new clothes and planning out my outfits for each day. I always liked to accessorize. A cute necklace with do that to any outfit. So we made some long tassel necklaces for my girls to wear with their new outfits. And now I want to put a tassel on just about everything! All these craft supplies came from a hobby store (like Michaels or Hobby Lobby). 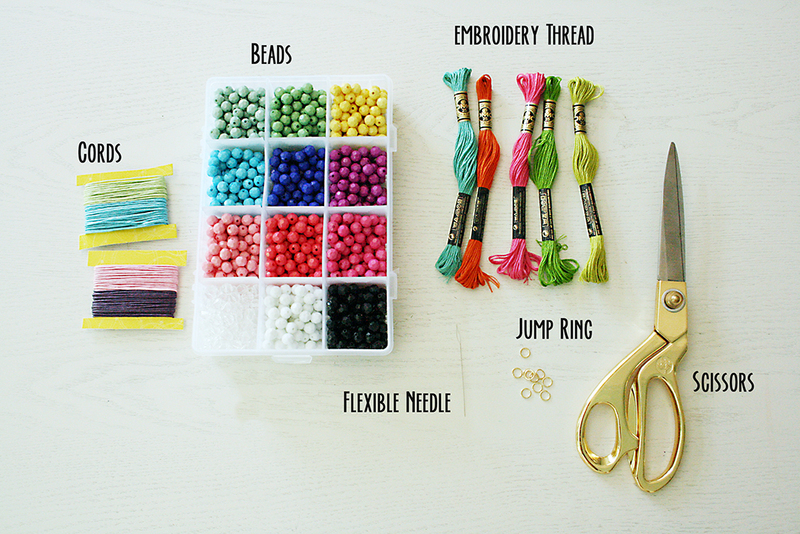 I bought a bead box and the embroidery thread cost about 40 cents for each one so you can make a lot of tassel necklaces for just under $10! The step-by-step is really easy and fast to make and easy enough for an older child to put together. 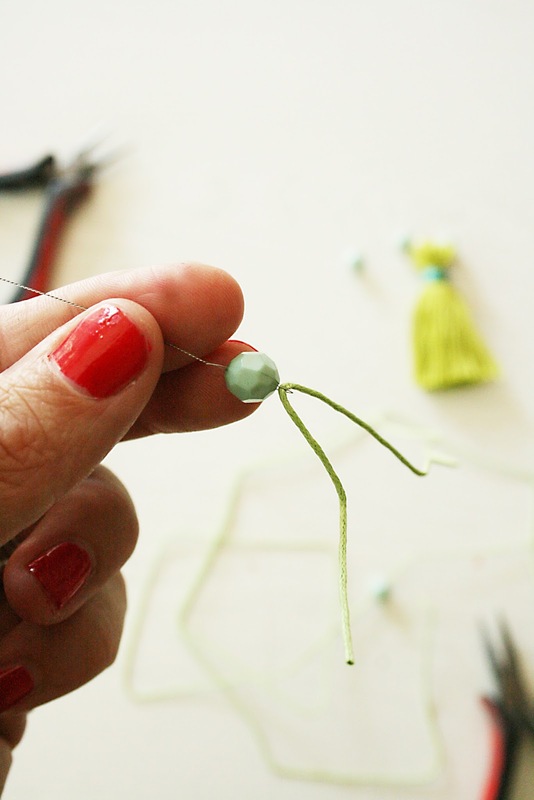 To make the beaded necklace, cut the cord about twice as long as you’d like the length. Take the flexible needle and thread the cord in the hole. We made a knotted necklace, so you can string the bead and then tie a knot then string the bead and then a knot. Keep doing that until you get your desired length. We made the necklaces long enough so we just knotted the necklace off with a square knot. Or to make the necklace quicker, you can just string the beads on the cord, ending with a square knot. To attach the tassel, take another jump ring and secure the tassel on the necklace. Add as many tassels onto one necklace with a jump ring! 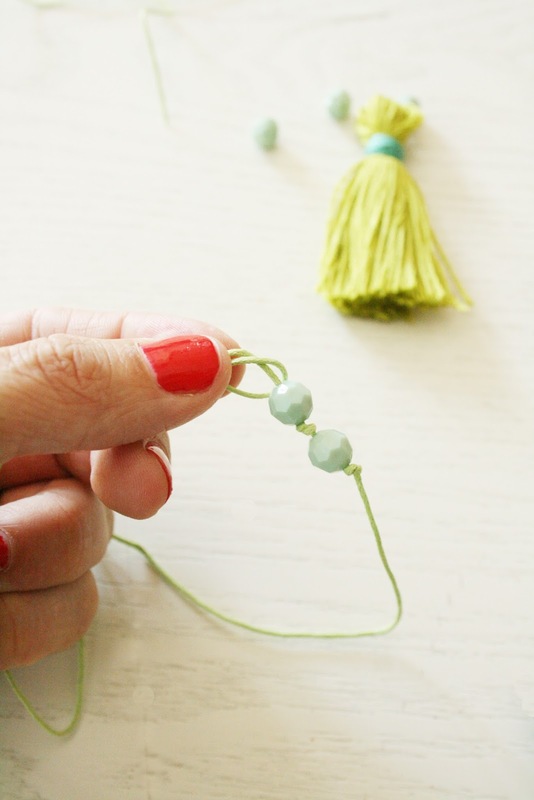 Make one for you and add multiple tassels to a simple long gold chain!